Dr. Laurence J. Peter published the The Peter Principle in 1969. While its approach is humorous, its truth is grounded in our collective management experience. 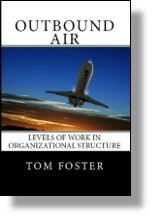 Its premise is that in management hierarchies, people, through their careers, continue to advance until they have been promoted one layer above their level of capability. They are promoted to their level of incompetence, where they stay until they retire. That is the Peter Principle. Dr. Peter has several suggestions for its causes and prescriptions for its solution. It is interesting that he accurately describes the phenomena we find embedded in Elliott’s research. One reason for mismatches inside any organization is surely The Peter Principle, where people are inappropriately promoted or advanced beyond their capability. I rarely come across a topic in magement that I haven’t heard of in the past. However, I loved this article about the level of competence. I agree. 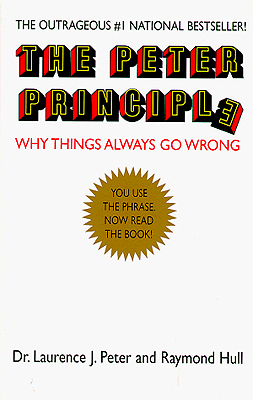 I agree that Peter Principle is true and it applies in normal occupational circumstances. However, there are ways to skyrocket individual powers to any level as ascribed from training and imprinting techniques controlling ICZ (Individual Character Zones) found from http://www.picompass.com/workforce-discovery-1.html . They are powerful resources of Self-Improvement. As I said before, without any self-development methods, Peter Principle applies.